I recently had the pleasure of chatting to Gill of WithAGee Glass Art a beautiful studio on Cross Street in Seaton, Devon. 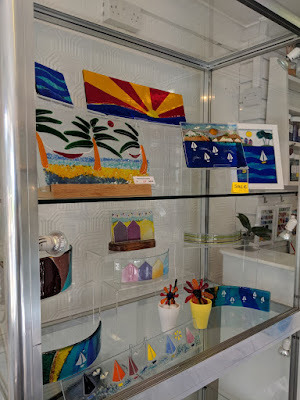 Gill is soon closing her beautiful studio gallery so i wanted to catch up with her and ask a few questions about her experience owning a glass art gallery in Seaton. 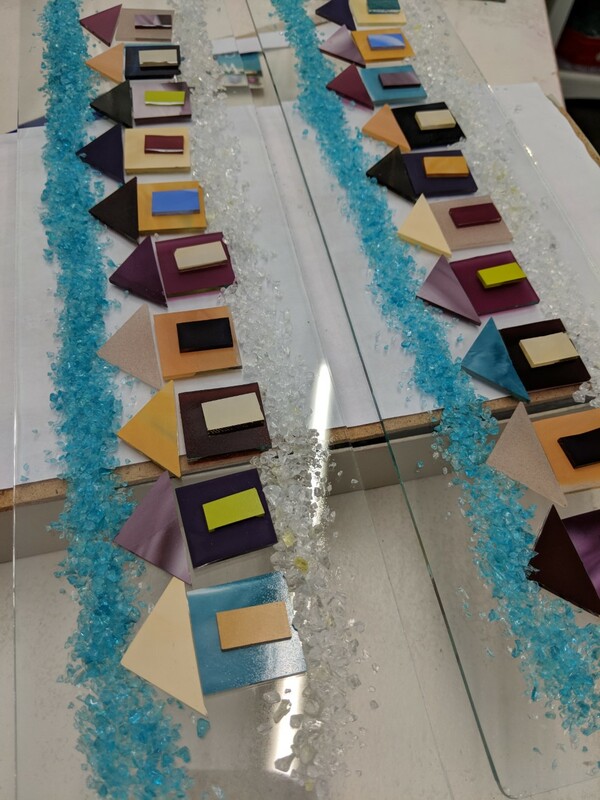 How did WithaGee Glass Art start? It started as a hobby and became an obsession. 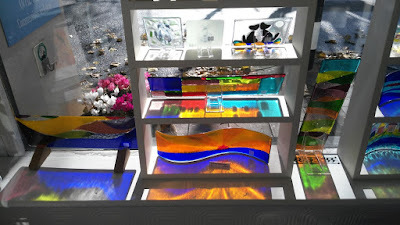 I began selling at events and markets like the Artisan markets. That is what lead to the need of my own studio. What do you stock in your Glass Art Studio? My shop is full of stock that i have made myself, so for 5 years now i have kept this studio running purely with creations handmade by me. Commissions have been fantastic over the years, i've done all sorts of different projects from tiny keyrings to front door panels. Why have you decided to close? Purely to retire, to spend more time on my hobbies. So will you be continuing to create at home? I won't be making anything more with glass at home no, i've sold my kiln and will be spending my time enjoying other hobbies like kayaking, walking of Coastal Paths & Cream Teas. I'm not finishing for any other reason than i'm retiring, it has been a great success here in Seaton. With Colin at Grandpa's Gallery and Rich of Savooni opening up i'd say that the Art profile of Seaton has upped. It's been brilliant, as a town we are becoming known for having a variety of real artistic talent. A big Thank You to everyone who has supported me over the years. You can find out more about WithAGee Glass Art here.